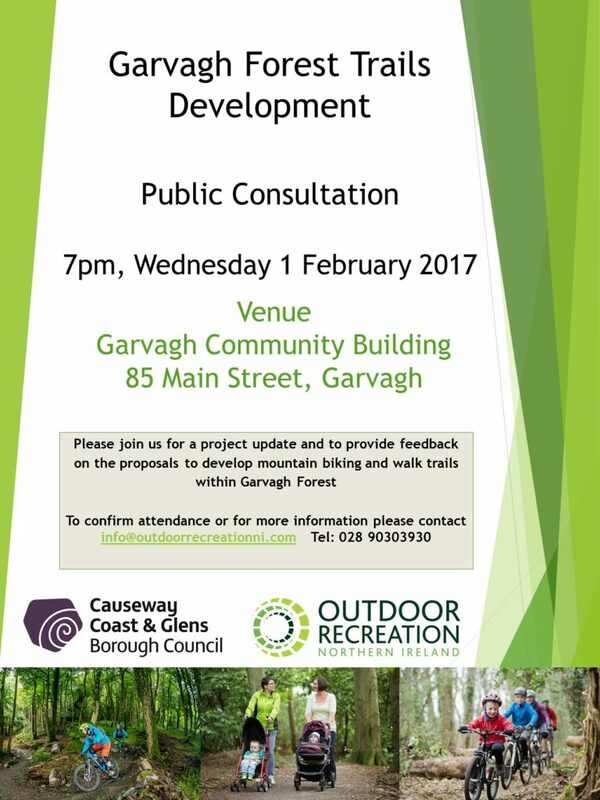 Outdoor Recreation NI and Causeway Coast and Glens Borough Council will be hosting a public consultation on Wednesday 1st February 2017. 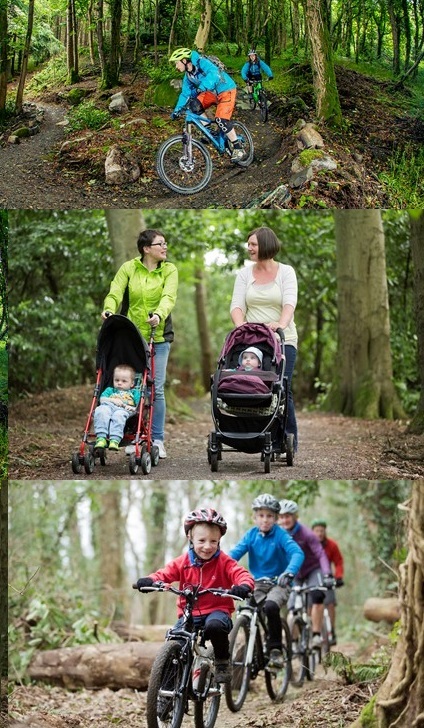 This will be to provide an update on the current project taking place at Garvagh Forest, and allow local residents to provide feedback on the proposals to develop mountain bike and walking trails. The venue for the consultation will be Garvagh Community Building, 85 Main Street, Garvagh. For more information, or to confirm attendance, please contact info@outdoorrecreationni.com, or telephone 028 9030 3930.